Waltham MA Radon 781-325-4385. Information About Radon in Waltham Massachusetts 02451. 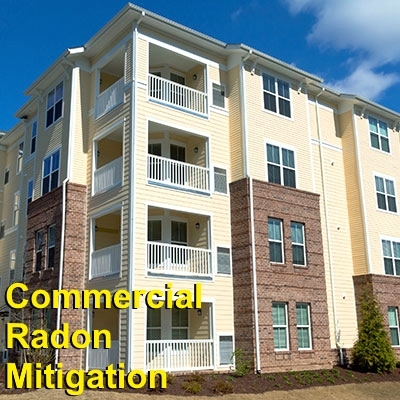 SWAT Environmental is America’s leading radon reduction company. Our experienced staff has installed over 100,000 radon mitigation systems throughout North America dating back to 1988. With over 100 installation technicians on staff, SWAT Environmental leads the radon industry in both experience and professionalism. We utilize the latest cutting-edge technology to quickly, effectively, and efficiently remove radon gas from any Waltham MA structure. Whether your radon problem is in a home, office, commercial warehouse, or government facility; SWAT Environmental can help! Call today for a free, no-obligation price quote. 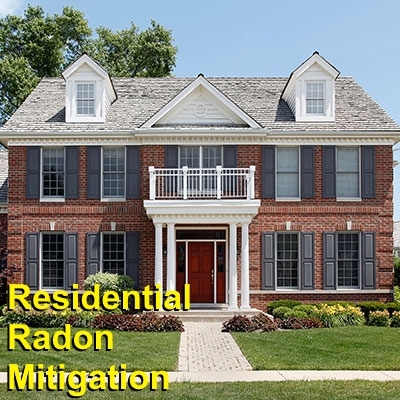 Radon is often referred to as a "silent killer." That's because this radioactive gas is undetectable by human senses yet causes over 20,000 deaths per year in the United States. Although there is a lack of public awareness about the health risks of radon exposure, it is the leading cause of lung cancer for non-smokers and the #2 cause of lung cancer overall. Radon gas is categorized as a “Group 1 Carcinogen,” by the International Agency for Research on Cancer (IARC). This means that radon is a substance known to cause cancer in humans. Radon problems have been found throughout Massachusetts, including the Waltham area. When uranium in soil or water decays, it lets off a radioactive gas called radon. This is a continuous, natural occurrence and is not considered a health hazard when emitted outdoors. However, when radon enters a home or building, it can accumulate to levels that are dangerous to occupants. It can enter the airstream from the ground below the basement, via foundation breaches, building materials, or groundwater. It has no odor, no taste and no color, which is why it is so dangerous. Many victims of radon-induced illnesses may have been unknowingly exposed to the gas for years before becoming ill.
Radon gas is a common problem in the Waltham MA area. The only way to detect a radon problem in a home or building is to perform a radon test. There are two options: The first option is to perform a short-term test. This can be done by a certified radon professional or by the occupant using a self-test kit. These kits can be purchased online or at most home improvement or hardware stores in Waltham. The cost is typically $15-$20. The test should be performed in the lowest livable level of the house. The test should be conducted in a dry room because excess moisture could compromise the accuracy of the test. Avoid bathrooms, kitchens, or laundry rooms. If your radon test yields a result of 4 pCi/L or higher, you should consider either fixing the problem, or performing additional testing to validate the result. To more accurately assess the home's long-term average radon level, you can use a long-term kit, which will be used for 90 or more days. However, if your initial short-term test is significantly above 4 pCi/L, a second short-term test followed by mitigation is the recommended course of action. If you find that your home or office has a radon problem, there is some good news. Elevated radon levels can be safely reduced. A radon mitigation system can be designed for any Waltham MA building, both residential and commercial. In most cases, reducing radon levels is no more expensive or obtrusive than any other household repair. A radon mitigation system will generally consist of a PVC piping network routed from collection points below the basement floor to a discharge point above the roof. Within the piping network, an inline suction fan is installed to draw the gasses upward through the system. Typically, the fan is located outside of the building or within a garage or attic. The radon mitigation process also requires the sealing of openings in the concrete that have a direct pathway from the soil into the building. For example, if the home has a crawl space with exposed earth, a plastic membrane would be installed over the exposed soil and sealed at the seams and perimeter. There are various methods of radon remediation, but in almost all cases, it will involve the fan-assisted ventilation process known as Active Soil Depressurization. These types of systems have effectively reduced radon levels in dwellings throughout Massachusetts, even right here in Waltham.